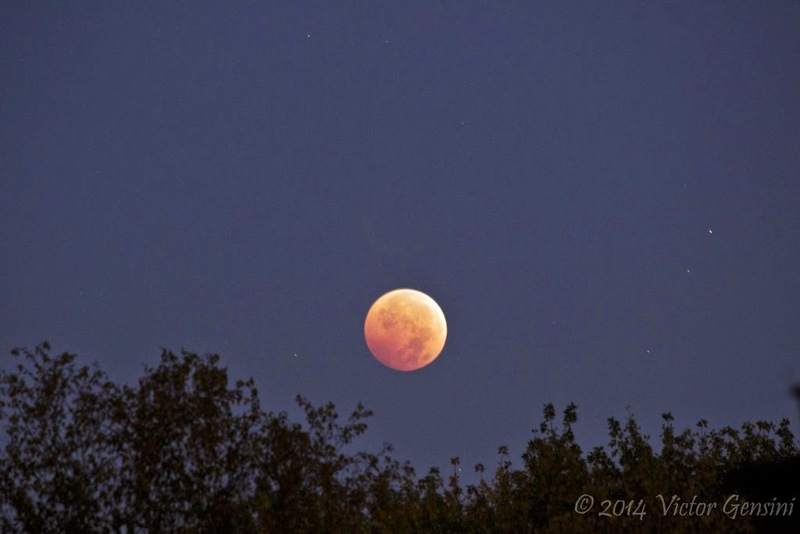 Treated with a total lunar eclipse early this morning. I was able to snap a few photos and enjoy the early fall crisp sky before my fingers became numb. This photo was taken around 6 AM CDT from my backyard in Sugar Grove. 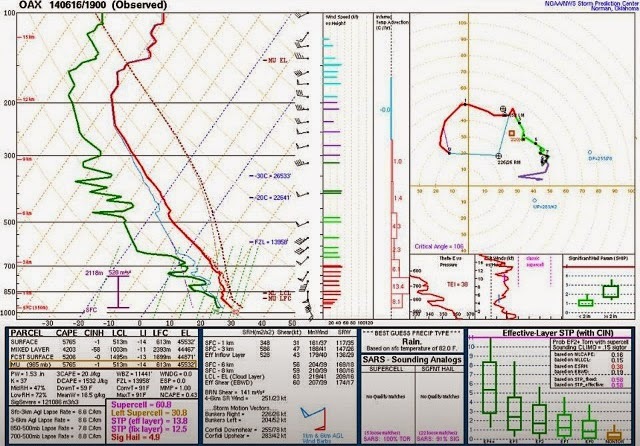 The Cheyenne Ridge provided initiation for convection on 6/23 in an environment with favorable directional shear and modest instability. The result was robust development of a lone supercell that initially had a very classic supercelll RADAR appearance. Unfortunately, the updraft was not able to balance the cold pool and the storm became outflow dominant (a great example of this process is shown in the timelapse below). We enjoyed beautiful high plains scenery with eastward advancing thunderstorms including a neat shot in front of a trio of grain bins (one of my favorite shots of the year). Great views, great people! 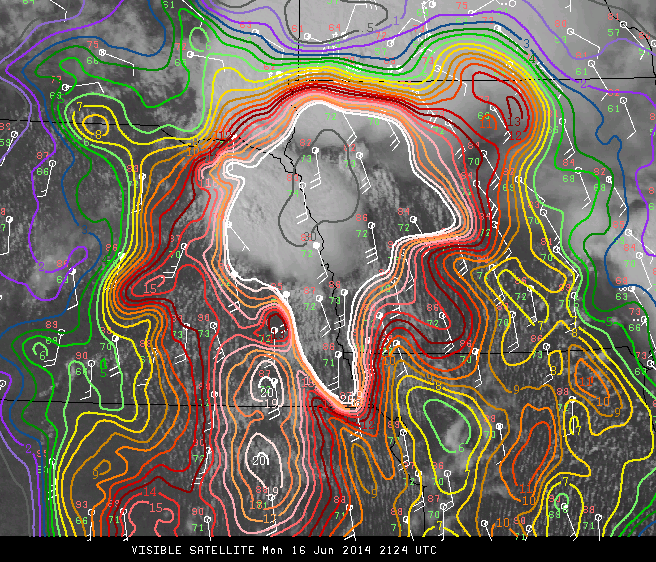 6-21 featured a risk for severe weather along a weak convergence boundary in north central SD. This was the first 'chase' day for CoD Thunderstorm Lab Trip 5, and some of the newbies got spoiled with a great day to observe the atmosphere. We watched a developing supercell near Mound City, SD, and stuck with this maturing convection the rest of the afternoon/evening. 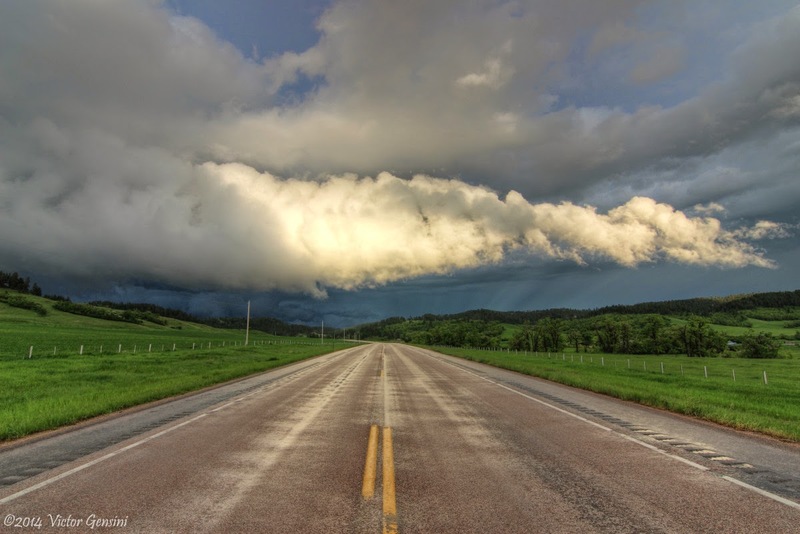 After cold pools from surrounding convection began to merge, we let the significant severe storm pass the road in front of us and shot north to find large hail. 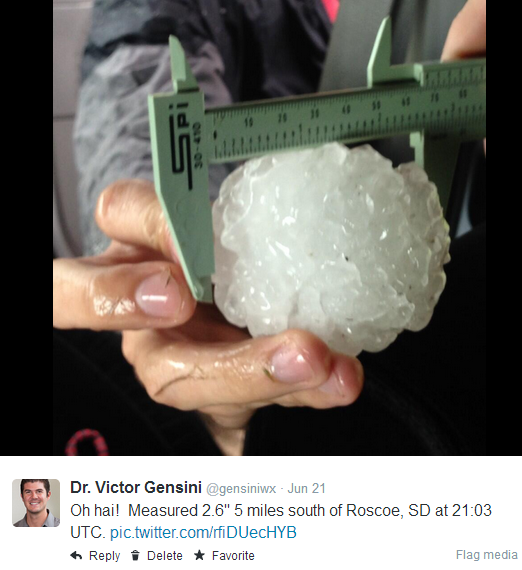 We were able to measure a 2.6 inch stone near Roscoe, SD at 21:03 UTC. Enjoy the photos and timelapse below! ASSOCIATED WATCH OUTLINE UPDATE (WOUS64 KWNS WOU3). 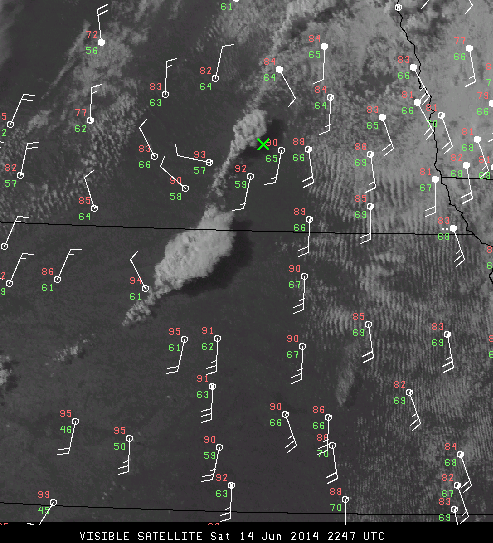 4:24 PM CDT visible satellite and supercell composite! The aforementioned towering Cu continued to strengthen, but with a rather benign RADAR appearance. The initial cell was certainly elevated, both by RADAR and visual appearance, but QUICKLY became surfaced based as it began to ingest vorticity rich air near the overnight OFB. After a few lightning strikes, it was clear this storm was off to the races (you can actually hear us mention this at the very beginning of the video below). We drifted with the cell southwest of Stanton, NE where a nice clear slot began to develop. 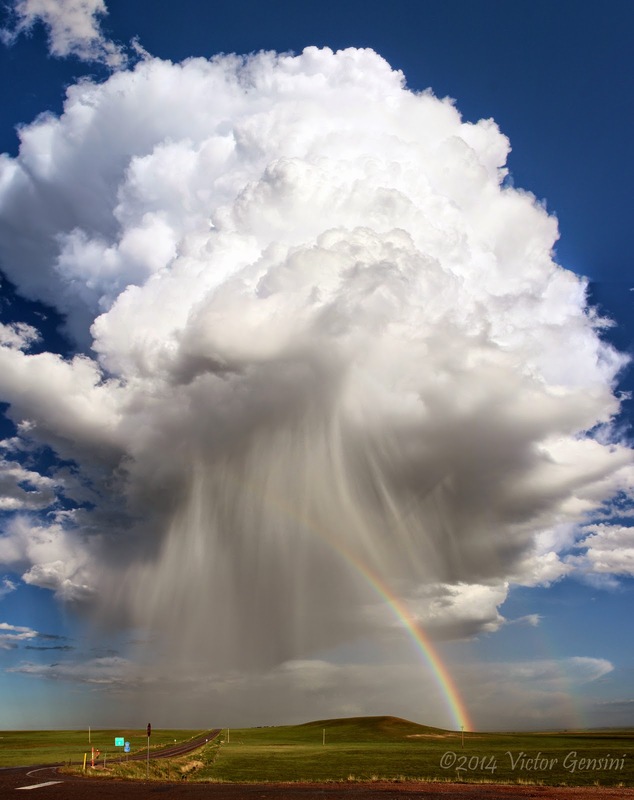 The cell had that 'look' and it was apparent that tornadogenesis was underway. In perhaps one of my funnier moments, I ran into fellow chaser Dave Ewoldt (I had never met him before outside of social media) and said very calmly, "I think we picked the right storm." Indeed we did. As the Stanton tornado began to occlude, we jogged east on Golf Course Rd. as a wedge tornado occluded north of Stanton (see our video below) to reposition for a new developing mesocyclone southwest of Pilger, NE. We stopped a mile west of NE HWY 15 watching a new developing tornado as the rear-flank downdraft began to surge just to our immediate north (you can see the wrapping rain curtains during this time in the video). After the surge, the tornado became steady-state headed on a direct course for the town of Pilger. Tornado entering Pilger with new tornado developing to the east. As the tornado headed into Pilger, a second mesocyclone developed and another large tornado formed just east of the Pilger tornado. We cut north to Wisner, NE and took HWY 51 east before heading back to the north to see a new developing tornado just west of Pender. This tornado got large rather quickly and also had a smaller satellite tornado that revolved around the main tornado cyclone. In all, we witnessed 5 tornadoes that occurred in northeast Nebraska from a safe distance, including the unfortunate killer tornado that hit Pilger. An exciting, but sobering chase day. 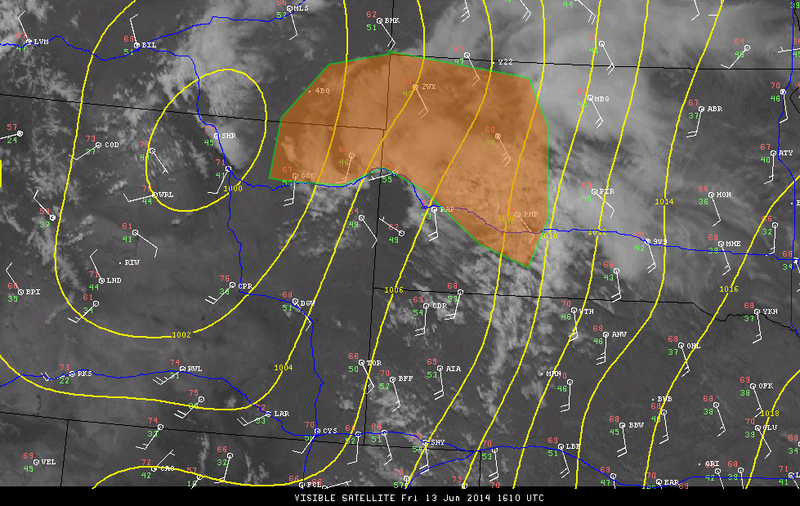 6-13-14 featured a strengthening surface low-pressure with marginal dewpoints on the northern high plains. We (Laura, Walker and I) sat near Devils Tower (Wyoming) watching a strengthening supercell that would eventually become tornadic. We stopped along WY HWY 24 to watch the surging rear flank downdraft cut a tornadic circulation just to our northwest. After the supercell began to merge into a multicell cluster, we pushed east to RAP where we met up with Walker's brother and nephews to watch mature convection push into the Great Plains. I spent my birthday roaming around WY/SD in search of convection in a beautiful part of our country. Luckily, we were served storms near Devils Tower that strengthened at dusk into severe storms near Belle Fourche, SD. 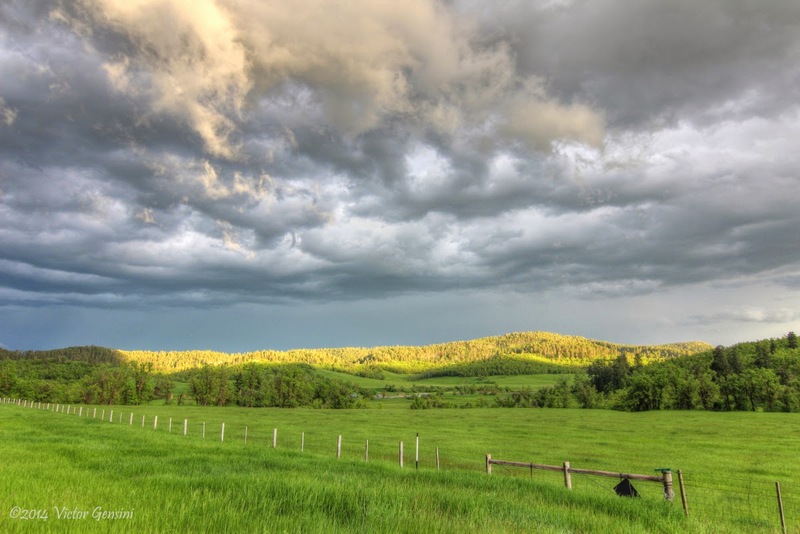 The first two pictures below were taken along the scenic WY HWY 14 just east of Devils Tower. It was a lush green landscape full of deer roaming the fields! The final picture is of a severe storm along HWY 212 in South Dakota, just east of Belle Fourche. A great day with great friends! MISC: Overnight in Stugis, SD with FRIED food. Walker and I targeted eastern NM again in hopes of a repeat of Saturday's structure feast. Mid/low clouds associated with overnight convection again muddied up our original target area in northeast NM. By lunch, we made the decision to head south out of Vaughn, NM toward cumulus development west of Roswell. We shot west out of Roswell, intercepting the storm a few miles down the road on HWY 70. Through the haze, we could make out a distinct lowering and several occlusions of the mid/low level mesocyclone. We stayed ahead of this giant ice-machine of a supercell (had a TBSS nearly all of its life cycle) before taking shelter under a car port west of Loving, NM. Unfortunately, the largest hail we could find was quarter size, despite several reports of much larger hail just near us. We let the convection push to our east and enjoyed the nice sunset lit towers, the moon dangling like a jewel in the sky, and frequent zit lightning. Another awesome day in the high plains, completing my second 2014 high plains hat trick. Overnighted in Roswell, NM. We successfully found a spaceship UFO north of Roswell, NM on Saturday! 2014 has been the year of structure (and few tornadoes), but this supercell takes the cake so far. We awoke in the Canyon, TX HIE to cinny rolls (yum!) and a worked-over atmosphere from the previous day. Our original target near Las Vegas, NM was socked in with low-clouds so staying put in Canyon until after lunch seemed to be the best idea until the picture became clearer. Hi-res model guidance suggested two target areas (one near Roswell, NM; the other near Plainview, TX). After lunch at Fat Boy's BBQ in Canyon (great food and price! ), Walker and I opted for the Roswell play, hoping for more isolated storms and better photography opportunities. While ferrying west toward our target area, some towering cumulus began to develop near Fort Sumner (first storm in the timelapse below). We gassed up in Fort Sumner, NM and headed toward Yeso, NM. After finding a nice vantage point, we watched the Fort Sumner storm shrivel and set sights on new developing mountain convection northwest of Roswell. Then came the UFO. A spaceship? Mothership? Something out of this world, that's for sure. We found a 'neat' abandon structure just northeast of Roswell that provided some cool foreground shots of the approaching mothership. We enjoyed this storm the rest of the evening, taking in the scenery and watching lightning and listening to the distant hail roar. Another LP supercell to its immediate northwest provided the perfect 'cherry on top' after sunset. Make sure to watch the timelapse below in high definition! MISC: Ran into Roger and Elke Edwards in the Roswell Applebee's. Overnighted in Roswell, NM. Friday featured more upslope storms, this time initiating off of the Raton Mesa and the Sangre de Cristo mountains. We targeted Clayton, NM, as an outflow boundary from previous convection appeared to be the best game in town for rotating storms. After nearing Boise City, OK, a tornado watch was issued for our area. We pushed west of Clayton toward developing convection near the residual outflow which was quickly developing supercell characteristics. What happened next was rather strange. Walker and I were fumbling around cancelling our hotel rooms and watching RADAR while keeping tabs on the Colfax county storm. The storm was rather uninteresting during its early lifecycle. Then, Walker glanced up at our storm and noticed a tornado! Walker: "Uh, I think that's a tornado?" Me: (with little hesitation) "Yep." Favorable vorticity interaction on the storm scale must have lead to tornadogenesis in this case as the surface temperatures were very chilly. The 'one and done' storm began to congeal into a mesoscale convective system as we dropped south to new convection. Everything was getting rather messy at this point, so we decided to let the storms push east as we took pictures from the crisp, post-storm, air. A great high plains day! MISC: Now chasing with Walker. Met up with Scott Blair. Overnighted in Canyon, TX. Oh hey, there's a TORNADO over there! One of my best pictures from the COD trip came during a travel day! We ran into this gem near Norfolk, CO, and had to stop the van to take a picture. Interestingly, this picture went viral and was picked up by Good Morning America, The Weather Channel, and The Washington Post. Never know what kind of magic the High Plains will produce! Chasing with COD Trip 3, we left Hobbs, NM, with an initial target near the Fort Stockton, TX area. We once again dealt with an HP supercell (argh!) near the Garden City, TX area. Several chasers again clogged the road as only 2 storms approached or surpassed severe limits. 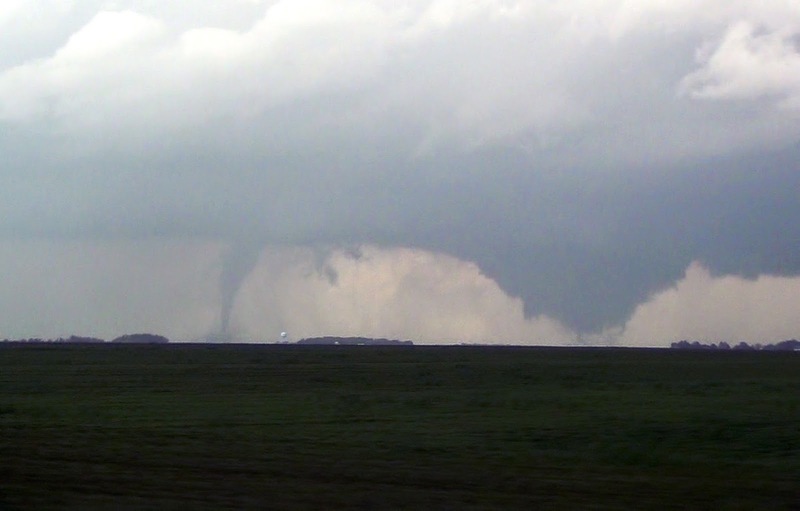 We saw a few brief gustnadoes and one brief tornado as RFD surged across the road behind us. The chase was a little hectic at first, but we quickly got out ahead of the Garden City storm and watched the massive HP storm from a distance. Overnighted in Lubbock, TX. This beauty was fun to watch! Excellent sunset on the way back to LBB. Thunderstorm lab day two of our CoD trip was a bust...er...just kidding! Our initial target was near Fort Stockton, TX. As we drifted to this area, a late morning severe storm became interesting west of Sanderson. Of course, by the time we got there, the storm fizzled out and we were left scratching our heads. The only other play that we felt had potential to materialize was southeast New Mexico. On we went! We got to Hobbs, NM, and stopped to check out our surroundings. We played some softball in the park on the north side to kill some time (ask the trip participants about the score of that game some time). As the storm immediately to our southwest began to fizzle, we called it quits and went to check into the hotel. As *soon* as I came out from hotel check-in to pass out room keys, it was clear that a rapidly developing storm to our west was worth going to take a look at. 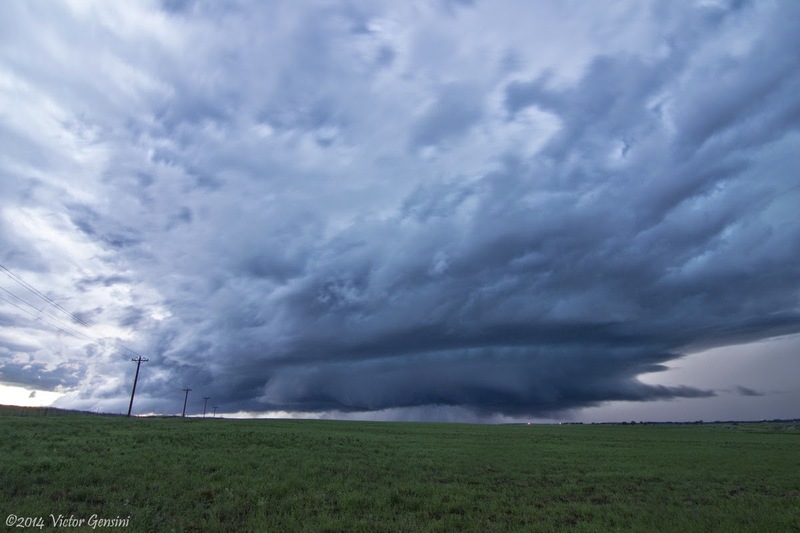 This storm matured into a majestic high plains supercell, with everything a structure freak could ask for. We stuck with this storm back to Hobbs where we choked down Applebees (the worst food and service ever) and overnighted at the Fairfield Inn. I have a lot more time lapse from this storm via my GoPro (thanks Pops!) but I will wait to process it until we return home. You definitely want to see the shorter time lapse version below. Saturday was my first chasing leading College of DuPage Trip 3. We awoke in SPS to a southward surging outflow boundary that ended up ruining our southern target option. We changed course and set our sight on Pecos, TX to wait for initiation near the Guadalupe Mountains. Convective initiation was quite delayed, but we were still able to catch a storm northwest of Pecos, TX, about 20 miles from the New Mexico border (I think we watched the storm below for about two hours near the intersection of TX Highway 652 and Pipeline Road). We watched the storm light up the night sky under a glorious display of stars and planets, all while listening to select tracks from Pink Floyd's "Dark Side of the Moon" album. It was quite an experience for the trip participants and I was excited that they were having a great time. Today (5/25) looks like more of the same for our region.